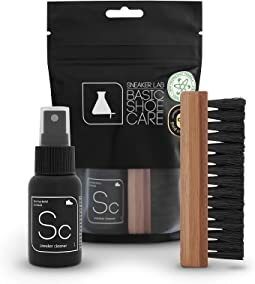 Clean, fresh sneakers are an essential element of everyday style, and Sneaker LAB® shoe cleaners keep your look on point. Following the rise of minimalist style in street culture and the sneakerhead community, Sneaker LAB was founded in 2012 with a simple premise that sets them apart from the sneaker scene: biotech-driven, premium shoe care. 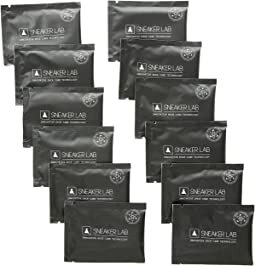 Sneaker LAB has ditched abrasive soaps and chemicals from their products in favor of pro-bacterial enzymes. Soaps clean, but they have limitations. They can be harsh on shoes, leeching color and breaking down the fabric and leather, and they wash off, returning chemicals back into the water. The mass-cultured probiotic enzymes used by Sneaker LAB target the carbon substrate of dirt, stains, and oil at the molecular level, leaving the color and quality of your sneakers intact, and they don't stop there. Given the correct environment - dirt to feed on, a consistent temperature, and pH - the bacteria in the cleaning formula will continue working for up to 80 hours. At the end of a Sneaker LAB cleaning, you can have fresh kicks for days. 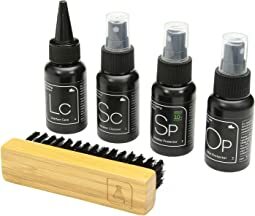 Sneaker Lab provides a full assortment of shoe cleaning products with convenient, travel-size packaging. 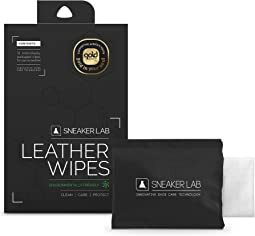 Individually packaged leather wipes and sneaker wipes are great for your everyday-carry bag, touching up your shoes when scuffs and spills pop up. 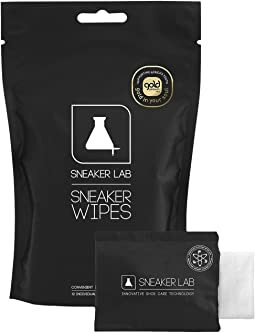 For deeper stain cleaning and protection, Sneaker LAB offers a comprehensive system of shoe cleaner, odor remover, and sneaker protector when you're ready for preventative maintenance. Whatever your look - OG sneakerhead, trend-chasing hype beast, or iconic original - you've got to keep your kit fresh. 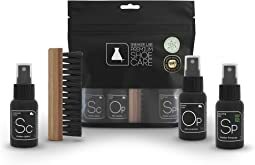 Pick up a Sneaker LAB shoe-cleaner kit and put those retired favorites back into rotation. Very good product! Bought it to revive 3 year old leather shoes and it did wonders! I am very pleased with this purchase. This is a great product, making cleaning so easy to do!